1974 BIOPHARM CHEMICALS CO., LTD. – our first established corporate in the group, as a pharmaceutical marketing distributor, supplying imported pharmaceuticals and supplements to the domestic pharmaceutical market. 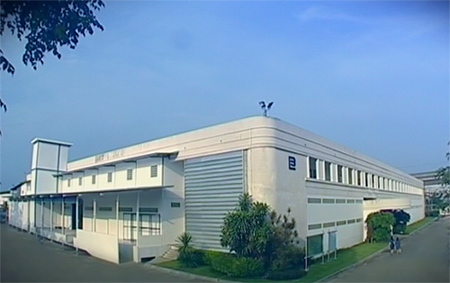 1981 BIOLAB CO., LTD. – First step as a very first pharmaceutical manufacturer with a strong commitment to develop and manufacture premium quality medications for ensuring a good well-being of all Thai citizens. As a leader in the manufacturing industries of pharmaceuticals and health care products, who has never stop working to reach the top, we have long been recognized as a legend in our own expertise. Now we are turning our intention to the welfare of people around the world. BIOLAND & DEVELOPMENT CO., LTD. – a brand new member in our group, concentrates on developing the real estate business. With a great success of its first project, BIO HOUSE, an exclusive mixed design building for retail, office and apartment located on Sukhumvit Soi 39, in the heart of the Bangkok city. "Thank you for a wonderful time at Bio House. It has been a wonderful home." as a comment from one of our tenant could be a sure proof of success on this initial project. THAKOLSRI FARM – An agricultural farm, being situated in Phetchabun Province, with the planting area of 650 acres, having the yearly capacity of 120 tons with gradually increasing year by year, is well equipped with high agricultural technology like a complete irrigation system, automated greenhouses serving as an eco-friendly system that can fully supply chemical-free, organic crops in a larger and more consistent yield. Initially, our farm mainly supplied high quality fresh fruits to the local and global markets. Currently, the farm has already fulfilled various export contracts with Japan and most EU countries, targeting to cover more countries in the future.